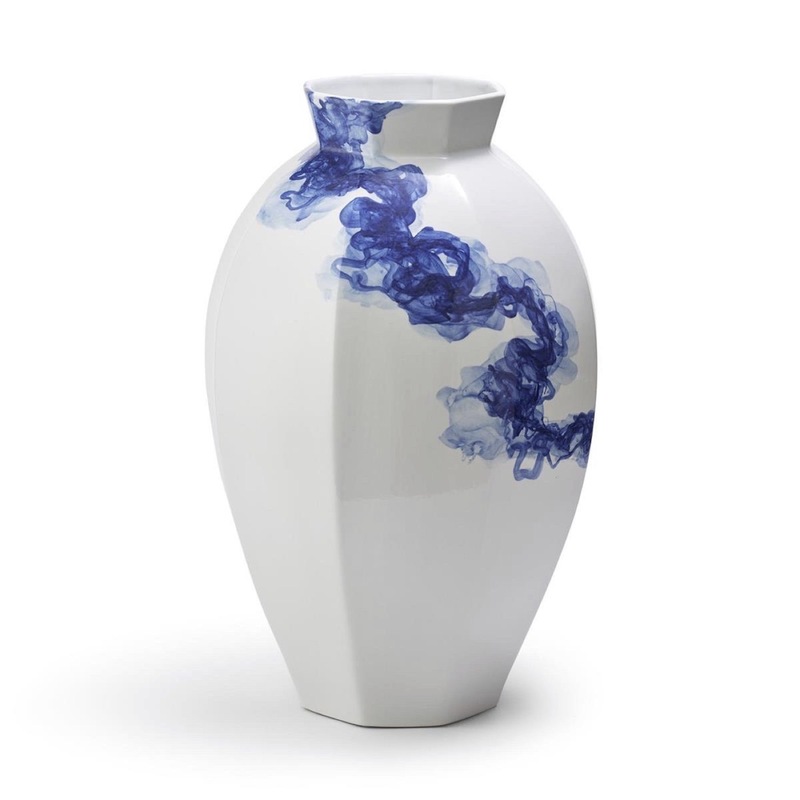 Inspired by a dye droplet diffusing in water, an artist hand-painted this tall white round/octagonal vase in alluring blue tones. Perfect to display florals or just to liven up any surface as a stand-alone work of art. 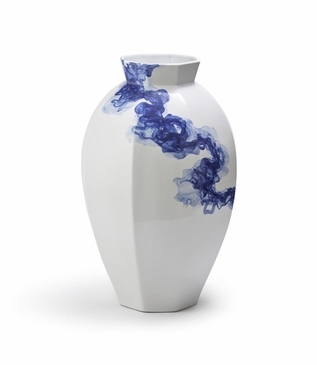 Each vase is unique and signed by the artist. Size: H: 23.25" • Dia: 15"